Chelsea Chambers is on her own. 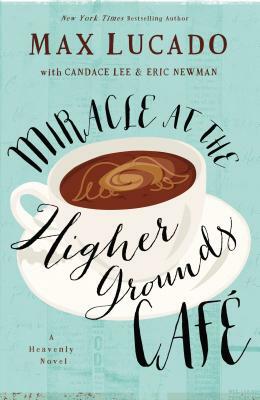 After a public split from her NFL superstar husband, Chelsea takes a bold step out of the limelight and behind the counter of the Higher Grounds Caf , an old-fashioned coffee shop in dire need of reinvention. But when her courage, expert planning, and out-of-this-world cupcakes fail to pay the bills, this newly single mom finds herself desperate for help. Better yet, a miracle. Then a curious stranger lands at Chelsea's door, and with him, an even more curious string of events. Soon, customers are flocking to the Higher Grounds Caf , and not just for the cupcakes and cappuccino. They've come for the internet connection to the divine. Now the caf has become the go-to place for people in search of answers to life's biggest questions.